Oh my goodness, I'm posting a recap ON TIME! I've been really trying to keep up with blogging and posting more, and even though I'm only a week in I'd say it's going well. 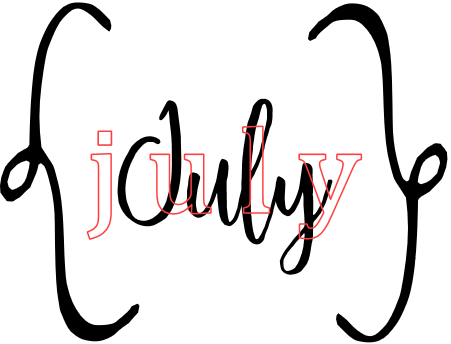 Sooo, here's the bookishness of July! Wow that's pathetic but IN MY DEFENSE I moved and spent too much time on Netflix. The Long Game by Jennifer Lynn Barnes: This book left me feeling pissed. Midnight Bites by Rachel Caine: Damn it's good to be back. Unfed by Kirsty McKay: Excellent zombie series but WHERE'S BOOK THREE? 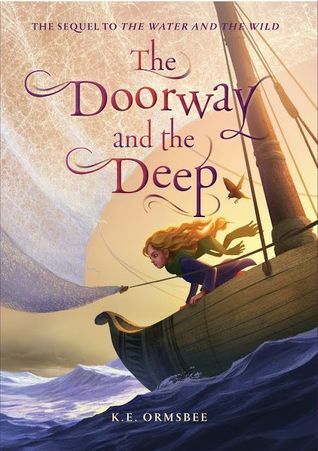 I know I read a LOT this month, but the book of the month goes to The Doorway and the Deep, the fantasmical sequel to the magical The Water and the Wild, and the series featuring the one and only Fife Dulcet (#FifeandtheNortherliesFTMFW). I shared ten facts about myself! Plus I talked about some books I love that aren't set in the US. And I waited on a book with a stellar cover and a new novel from a favorite author. I've been feeling a little meh toward blogging so I wrote about. To lighten things up I shared my TBR for the rest of the summer, and then I discussed/ranted about books having special editions. 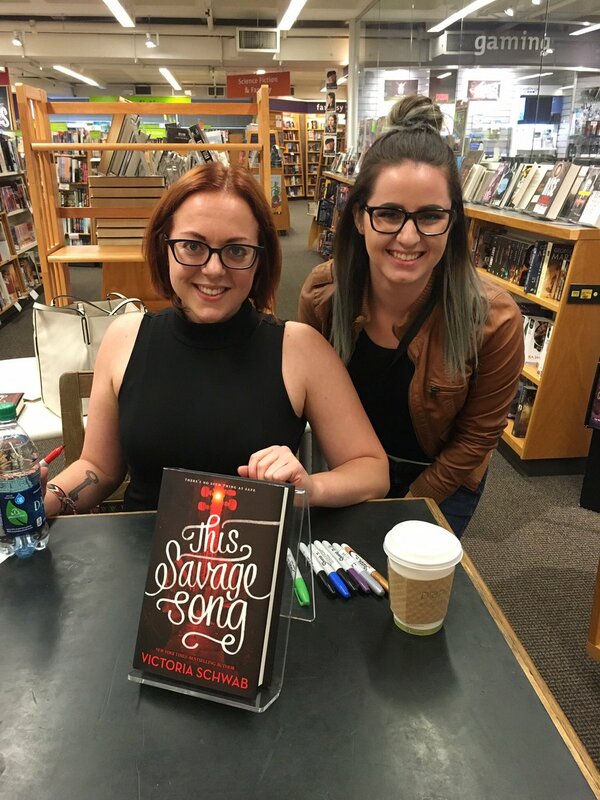 Victoria Schwab was here for the release of This Savage Song, so I went to the signing! I've been SUCH A SLOW READER as of late, or I start a book, set it down to do something else or go to bed, and don't pick it back up again. It's disgusting. Buuut I'm technically currently reading Wendy Darling: Stars by Colleen Oakes (I loved the first book and I'm Peter Pan trash), You by Caroline Kepnes (which can't possibly end well), and I need to finish Kathryn Ormsbee's Lucky Few and see if Sara Saedi's Never Ever is worth reading any more of. A big reason why I didn't read much in July is because NETFLIX. I went on a binge for Miss Fisher's Murder Mysteries and oh my gosh you guys I CANNOT. Dot and Hugh are the cutest. And Jack (JAAAAAAAAAAACK) and Phyrne JACK AND PHYRNE the flirting the ship the everything WATCH THIS SHOW. I also binged Vampire Knight because I was looking for something fun to watch, Attack on Titan is only available in Japanese AND without subtitles (I think), and I love vampires, but it was...not very good. I did rewatch some of Soul Eater. That was a smart decision. And then I watched Stranger Things because EVERYONE has been talking about it and oh my gosh there's a reason why everyone is talking about it. The characters. The cinematography. The MUSIC (which I'm actually listening to right this second). Was your July very bookish?